After joining @properties in 2003, Holly helped establish it as the leading real estate brokerage in Chicago, while helping hundreds of clients meet their housing needs—and dreams—in the northwest suburban Arlington Heights area. Since 2015, she has been a top volume earner, meaning she sells over $30 million annually in northwest suburban residential real estate with an average market time of 54 days—25% better than the 73-day region average. Known for her bluntness and transparency, Holly’s dedication to client satisfaction is bolstered by an extensive network of esteemed industry professionals like contractors, attorneys, inspectors, and mortgage brokers. Holly is in the 1% of realtors on Trulia who has been cited on the site’s Best of the Best for 16 years running. She has been featured in Chicago Agent Magazine and Top Agent Magazine and has received several industry awards, but the recognition she most values is that her business is based almost entirely upon referrals. From first-time buyers to real estate developers, Holly represents a diverse range of clients, helping sellers position their home for top profitability, establishing personalized criteria for buyers, or navigating the area’s vast array of award-winning schools. Holly’s insider perspective on her native area helps clients consider neighborhood criteria like how long it takes to walk to the train, the best place for wine and tapas, or local special events. Holly is dedicated to her community: she has been named Woman of The Year by the Leukemia & Lymphoma Society, helped raise thousands of dollars in donations as a corporate match for A Better Community for District 25, and is a member of the Arlington Heights Chamber of Commerce. She lives in the Pioneer Park neighborhood of Arlington Heights with her husband and their two children. Holly, who has a degree in architecture, started in real estate in 2010, working for the Chicago Tribune’s For Sale by Owner. In 2013, she joined @properties and has been accredited as a Real Estate Negotiation Expert (RENE) and Certification & Pricing Strategies Advisor (PSA Certification). 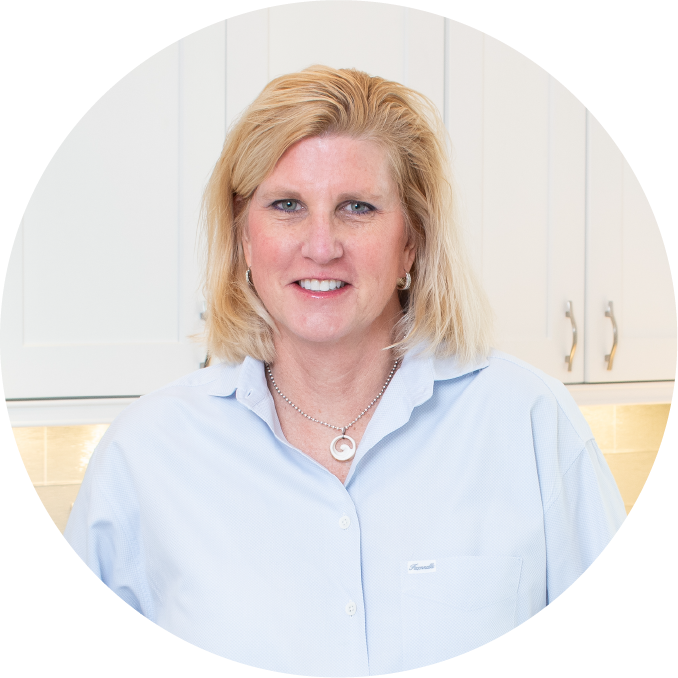 Holly has spent a lifetime in architecture and interior design, which provides clients with on-the-spot knowledge in preparing a home to sell, staging, and inspection findings. Holly’s years of practical application of this creative vision helps clients crystallize what a blank slate can look like or how they can recreate their own space in the ideal home. Holly is ready to help clients with a variety of needs, whether it’s finding their dream home, selling to appeal the property to their target buyer, or finding a $400,000 property and making a plan to get it looking a million dollars on their budget. Holly’s clients praise her patience and cool head throughout the home buying and selling process. She understands that buying a home never happens overnight, so she has a strategy for every obstacle, providing clients all the details they need to make the right decision for them. 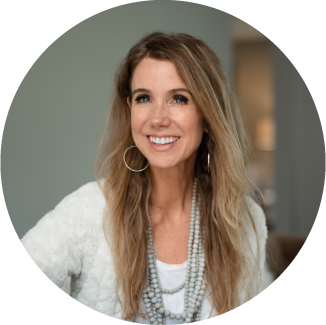 As a graduate of Prospect High School, Holly has connections within the northwest suburbs with an expansive network of professionals, from contacts for zoning permits to carpenters to interior designers. A homeowner herself with a growing family of her own, Holly is especially poised to assist millennial buyers and young families looking to put down roots. In her spare time Holly enjoys perusing house plans (that’s right, that’s her idea of fun), boating with friends and family, and capping summer days with a Tito’s and soda on her patio! As the former owner of what she refers to as the “The Cheers of Arlington Heights” (AKA the Tuscan Market & Wine Shop), Amy Philpott knows the northwest suburbs and the power of living in a wonderful community. Amy has a tremendous sphere of relationships, in the business and local community. Her relentless work ethic sets her apart from many of her peers and she has proven herself as seasoned, trusted broker. Amy is intuitive, patient and thorough in her service style with her clients. Amy, a California native, has relocated on multiple occasions in her previous jobs as operations management at FedEx and Trader Joe’s. Corporate and personal experience allow Amy to share strategy, area knowledge and data analysis to counsel her clients. Amy places a strong emphasis on client service and communication. Her clients are more than a “deal” to her and the post close relationship is even more important to her. 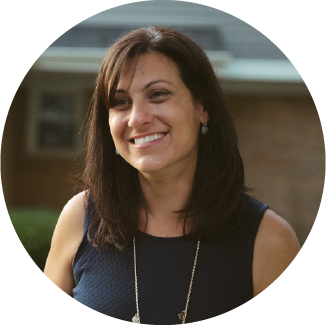 Amy resides in Palatine but her time owning and operating a small business, working alongside the local Chamber of Commerce and government, Amy knows all about Arlington Heights. Her area knowledge and sales area cover from the Chicago city limit, to the far western and northern Illinois border. Amy has extensive knowledge of northern lake properties near the Wisconsin line, if boating is your thing. Whether you are buying, leasing, selling or investing, Amy’s goal is make your real estate transaction seamless and successful! In her spare time, Amy is co-founder of Brewing Opportunities-Gerry’s Café, a registered non-profit. Gerry’s Café will be a full service café employing adults with cognitive disabilities. Named after Amy’s Aunt Gerry, who was born with Down’s syndrome, Amy has been diligently working on the creation, planning and fundraising of Gerry’s Café. As you can imagine, Amy makes the most out of every hour of the day. Amy holds a degree in Behavioral Science from The University of San Diego. Through the National Association of Realtors she’s a certified Accredited Buyer’s Representative (ABR), a Real Estate Negotiation Expert (RENE) and Pricing Strategy Advisor (PSA). Amy served as the 2015 President of the Arlington Heights Chamber of Commerce. Amy was voted Arlington Heights Business Leader of the Year in 2016, received the 2010 Cook County Heroine of the Year Award and was the 2010 recipient of the Business Leader Heart of Gold – Village of Arlington Heights. Amy’s passion and spirit for her community transcends into all areas of her life. That passion, along with her skill makes Amy a unique and special broker. 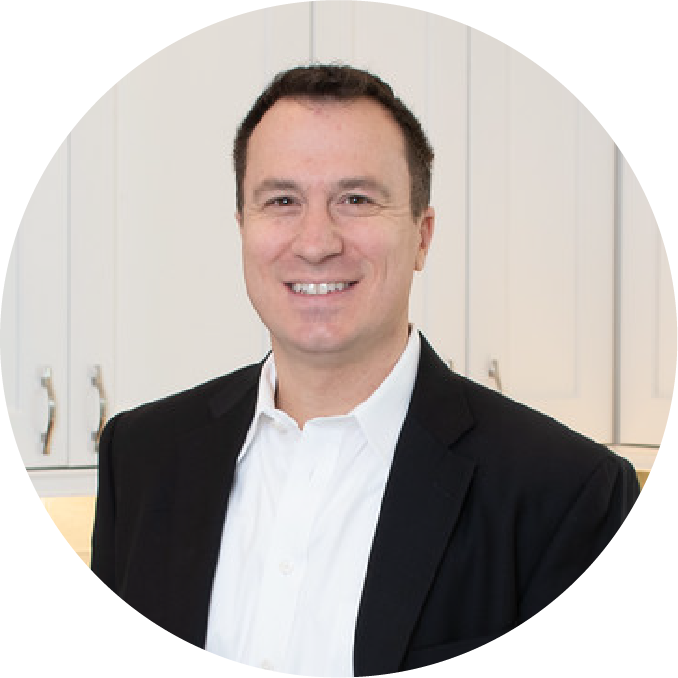 Nick brings over ten years of experience as a Real Estate investor. He is well-versed in the needs and wants of today’s buyers, sellers, landlords, and tenants and is ahead of the curve on what properties are available and what’s trending. Nick joined the GetBurbed team in 2018. His work experience in HR and Talent Acquisition means he knows how to align clients with the opportunities that best match their wants and needs. He has a passion for investing in the community and knows what it’s like to advise someone through life-changing processes. Nick has a Master’s Degree in Human Resource Management from the University of Illinois at Urbana-Champaign. He grew up in Mt. Prospect and has lived in Arlington Heights for for 15 years with his wife and their two daughters. He is honored to be the lucky guy in a room full of awesome energetic women (at home and in the office). For 15 years—before HGTV’s “Fixer Upper” was even a thing—Noel and her husband rehabbed distressed properties, giving her lots of experience in spotting ways to add character and improvements to a home, not to mention navigating differences of opinion when more than one person goes into a property together. 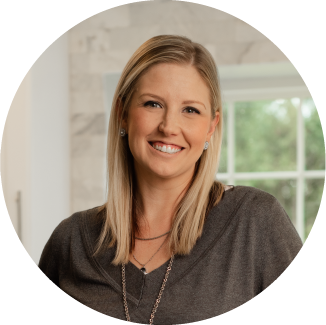 From her experience flipping houses—and being married to a contractor—Noel is an expert on what types of permits a client may need to replace an HVAC, or the potential costs of putting in more duct work or tearing down a wall. One of Noel’s strengths is being able to break the buying, selling or remodeling process down into small, doable pieces. 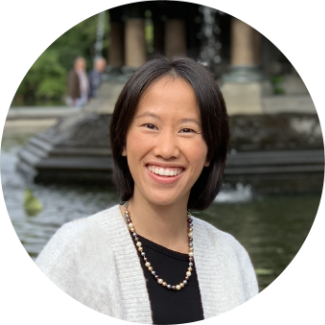 She also takes pride in making customers feel pampered with her signature concierge style treatment, bringing her clients everything from carpet samples to dinner in order to make their transaction smoother. Noel has had her broker license since 2015 as part of the National Association of Realtors (NAR) and the North Shore/Barrington Association of Realtors (NSBAR) and is a Certified Staging Agent, helping clients envision how to best stage and market a home for quick sale. A former teacher, Noel is a self-described sponge, spending her downtime educating herself on everything from educational podcasts on negotiation or rehabbing to housing trends on Pinterest. Since 2012, Shannon Bennett has operated, as her coworkers put it, as the brains behind the operation of GetBurbed, handling the behind-the-scenes work that goes on behind every listing and sale. 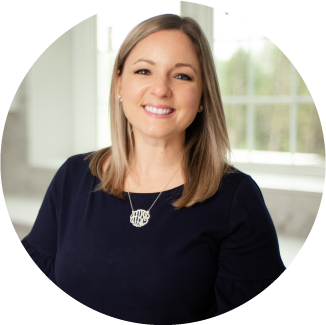 Whether handling a client’s questions, following up with real estate attorneys, or scheduling meetings and open houses, Shannon multitasks like a boss while maintaining angelic levels of patience with clients and coworkers who need calm, cool, reassuring help. Working alongside Holly Connors for many years, she has perfected the art of making each client and colleague feel like they are her #1 priority—even if that’s not technically possible. Prior to her work specializing in contract administration at GetBurbed, Shannon worked for employers such as Walt Disney World Resort, AT&T, Four Seasons Hotels, and Lennar Homes. She has always been a people person, which is why she has always been customer interfacing. All those years providing support has made her an expert at being cool under pressure and giving clients what they need, when they need it. Raised in Glenview, Shannon earned her bachelor’s in communications with a minor in business administration from Loyola Marymount University in Los Angeles. Together with her husband, a former Olympic qualifying boxer who recently opened Marvelous Fight Studio in Wheeling, Shannon has a son interested in anything active and a daughter interested in anything outside.